If you are a regular reader, it's no surprise to you that I love food. I've posted recipes on here and even reviewed cookbooks. It does not make me a chef, by any means, but I have fun trying to create delicious food. I learn almost every tip from Food Network TV. I watch a lot of the shows on it. Masterchef is probably my favorite, for the cool competitions. I like Cutthroat Kitchen for the same reason. I also like watching the 'juniors' get their shot. 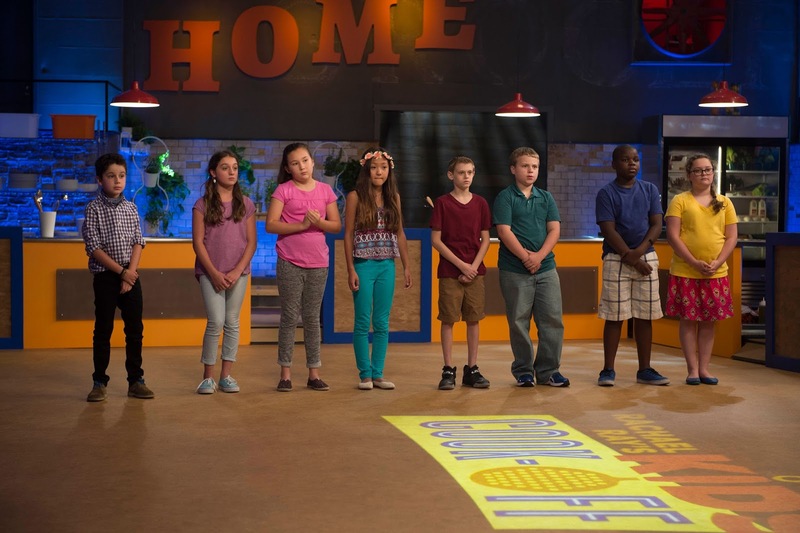 Masterchef Junior is one that truly awes me. These young kids can cook up a storm, and frankly, put my cooking to shame. 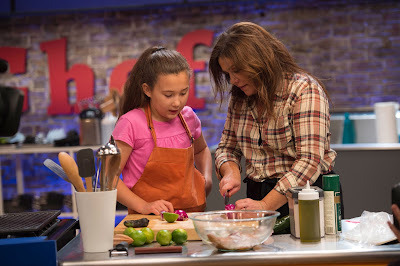 Now, the Food Network icon, Rachel Ray, is serving up a new culinary show for juniors. This is a six-episode series starting on Monday, August 24th at 8pm EST. Eight young hopefuls will be tackling some grueling cooking challenges, as they are put to the test to compete for a $20,000 culinary scholarship and their own web series on FoodNetwork.com! How cool is that?! They could literally be the next Rachel Ray or Bobby Flay! I can't wait to see some of the guest judges. Robert Irvine, Marcus Samuelsson and Fabio Viviani are all chefs that I like. They will be among the guests that will be appearing. Not only do they judge at the end, but they mentor the kidtestants. They show them how to prepare the best balanced tasting meals, as well as creating desserts inspired by the movie, Hotel Transylvania 2. These kids not only need to have what it takes in the kitchen, but their personalities need to shine through on camera. Only one will standout and rise above the rest to take home the grand prize and be crowned winner of the Kids Cook-Off. Won't you be watching to see who wins? I know I will be. 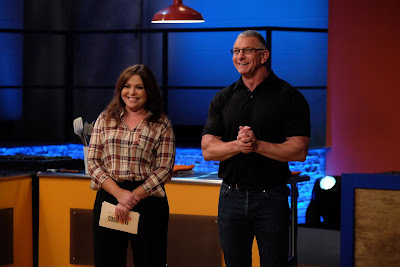 Catch it all go down on Monday, August 24th at 8pm EST on Food Network TV. My grandson loves watching cooking shows, so I get stuck watching some of them with him. the funny thing is he is THE pickiest eater I know. 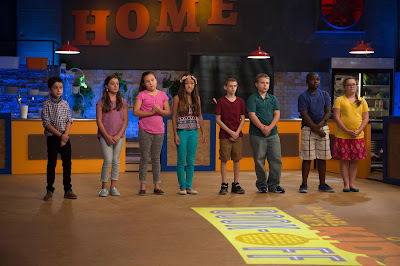 the shows are addicting and this new show will be such a wonderful opportunity for kids....much better than the other 'real life' shows out there. I've enjoyed many of her show! Looks fun! I used to watch her show with my hubby, he is the cook in the family. I even bought him a couple of her books for Christmas one year. Glad to see she is hanging in there.